Vampire Andrea Mercer is literally dug up by an old crush, Daniel Harris, and during a trip to Minnesota to see the vampire queen, her desire for him reignites. My review is only for Dead Girls Don’t Dance. It is the story of the beginning of the relationship of Andrea and Daniel, who you’ll meet again in Undead and Unappreciated. Andrea, after a couple of years unconscious straggling around as a newbie vampire, now runs into Daniel. Andrea had a serious crush on him in college, but back then, Daniel wasn’t interested in her. Now he is very interested. Daniel reacts very smoothly to the news that Andrea has become a vampire, and attaches himself to her side. He is sweet, funny, perceptive, and endearing. Andrea is very lonely, her life centers on feeding, and hiding from daylight. She wants to die, for real this time, but she hesitates to walk into the daylight, or to starve herself. Daniel’s concern, comfort, and affection give her life a new perspective. The story follows Andrea and Daniel on their ride from Chicago to Minnesota, where Andrea is about to meet the new vampire queen, Elizabeth. If you’ve already read the Undead series, you will be very pleased with the short episode featuring Betsy and Eric Sinclair. If you haven’t, it will make you more curious about the sassy, high-heel-obsessed, all-powerful vampire queen, who is so enviably adored by her consort, Sinclair. Awesome, laugh-out-loud funny novella of the Undead series. Do not miss it. 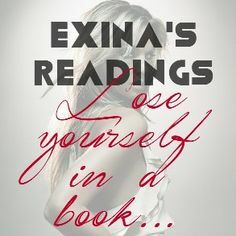 Daily Quotes by Exina, from quote 717 to 725.